Elizabeth of York (known in some circles as the White Princess) was technically the very first queen of the infamous Tudor dynasty. She was born on this day, February 11, 1466, and, ironically, also died on this day, February 11, 1503. Young Elizabeth had a lot going for her. Besides the royal bloodline, she was, by all accounts, beautiful, intelligent, kind, empathetic and well mannered. She was the oldest daughter of King Edward of York and his wife Elizabeth Woodville. Elizabeth’s father had come to power after many hard fought battles with his cousins the Lancasters. Edward’s reign issued in a period of peace and prosperity. 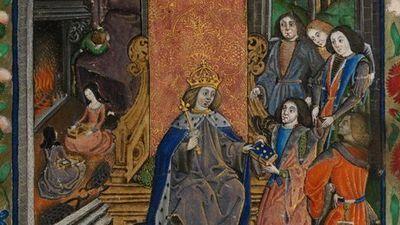 When he died unexpectedly in 1483, a new game of thrones would ensue, complete with evil plots and bloody battles as the Lancasters and Yorks once again strove for power. Elizabeth was only seventeen when her father died. Her younger brother Edward, just thirteen, then became king. However, their Uncle Richard (Richard III) exercised his power as Lord Protector of the Realm and had Edward and his younger brother Richard (second heir) put away in the Tower of London for “safe keeping”. What happened to the two York princes remains a mystery to this day. Neither boy was ever heard from again. It is commonly thought that Richard had them murdered. In 1674, workmen at the Tower discovered a box containing two small skeletons. Those are thought to be the bones of the princes. Richard then took the throne for himself. He did not keep it for long. Henry Tudor, a Welshman from a royal but illegitimate bloodline, also had kingly ambitions. He waged war. Richard III was defeated and lost his life at the Battle of Bosworth in 1485. Henry Tudor then became King Henry VII. He knew it would be prudent to unite his house with York and asked for Elizabeth’s hand in marriage. Young Elizabeth then found herself in the rather awkward position of being a York heir, yet pulled into the Lancaster-Tudor stronghold, most likely against her own will. The marriage, however, proved to be a happy one. Elizabeth gave birth to eight children. The most notorious of these was of course King Henry VIII. He continued the dynasty and also fathered a rather strong tempered little girl, also named Elizabeth, who would never marry, but would come to rule England for almost fifty years. You guessed it! Bess the Virgin Queen was Elizabeth’s granddaughter. Elizabeth of York was a hands-on mother, unusual at the time for women of her status. She insisted upon having much domestic time with her children and often brought them to her palace at Eltham. Although she left behind a great legacy, Elizabeth of York only lived to be thirty seven years old. She died of an infection on Feb. 11, 1503, just days after giving birth to her last daughter Katherine. The baby died too. In 2012, the Vaux Passional, an illuminated manuscript that was once the property of Henry VII, was rediscovered in the National Library of Wales. This manuscript gives us insight into the strong bonds between Elizabeth and her family. It depicts Elizabeth’s death, with a saddened Henry VII in mourning garments. In the background, an 11-year-old King Henry VIII’s red head is shown weeping into the sheets of his mother’s empty bed. His two sisters wear black mourning veils. After her father’s death, teenage Elizabeth went to live with her Uncle Richard. It is rumored they developed a romantic relationship, and Richard planned to marry her. Richard himself denied this, and sent his niece away after the death of his wife, perhaps to end further rumors. She loved music and dancing — a trait that was perhaps passed on to her granddaughter Queen Elizabeth I. 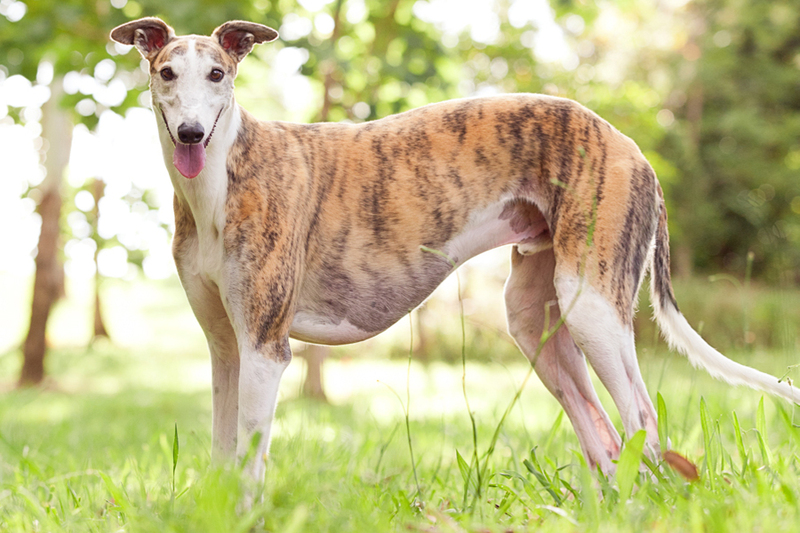 She was extremely fond of greyhound dogs and kept several of them at her residence in Eltham Palace. Elizabeth’s grandmother, Jaquetta of Luxembourg, was rumored to have been a witch — a bloodline which was passed down to her daughter Elizabeth Woodville and hence Elizabeth of York. The women are said to have used their witchy powers to keep their various dynasties afloat. She is thought to be the queen in the poem “Song of Sixpence”. The rhyme goes: “The king was in his counting house, counting out his money; The queen was in the parlour, eating bread and honey.” In real life, Henry VII was shrewd with money and Elizabeth was preoccupied with domestic work, meals and children, so maybe it is true. Pre-raphaelite artist Valentine Cameron Prinsep even painted this 1860 depiction of Elizabeth as “the queen in the parlour”! Her flower symbol became a red and white rose. Red represented the House of Lancaster and white represented the House of York. This, the Tudor rose, is still a floral symbol of England.